In essence this Course is an exploration of the GYROKINESIS® Method through the lens of Laban Movement Analysis. This includes an introduction to Laban’s language of movement, Bartenieff Fundamentals®, the five Sacred Solids (sometimes called the Platonic Solids) and Laban’s movement scales within those 3-dimensional figures. We will handle models of the solids, draw them, build them, and move within them experiencing the dynamic affinities that give life to our GYROKINESIS® practice. Sacred Geometry and GYROKINESIS® Method is the result of a long lifetime (70+ years) exploring the expression of life into form. This Course is an Update Course for Trainers licensed in GYROTONIC® and Trainers licensed in GYROKINESIS®. I was born and grew up in a small town in Montana, surrounded by gardens, rivers, mountains, farms, horses. Always fascinated by how life expresses itself I watched the strawberries send out runners to make new plants, the rivers change their courses with the years, felt my body’s response to the rhythms of horses’ gaits, and watched the sun and the stars move through the skies during the seasons. I experienced the magic of numbers and words, games and hikes and swims and the endless joy of movement and vision and touch. I touched the world and felt the world touch back. A mother, a grandmother, a teacher and always a student I sense life as learning and learning as movement. Always inquiring. Photo Credit: Laban’s A and B scales, 1986. 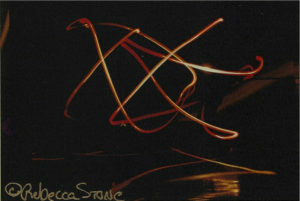 Photo by Rebecca Stone GYROTONIC® and GYROKINESIS® Trainer, Certified Movement Analyst. Deposit: $300 due by Jan. 14. September 20 – 22, 2019. Tuition $350. Studio fee $150 payable as deposit to Gyrotonic Bodhi Studio. Deposit: $150 due payable as deposit by Sept. 6, 2019. Contact and registration: Jen Patterson, Gyrotonic Bodhi Studio, gyrotonicbodhi.com. This course may serve as an Update for Trainers licensed in GYROKINESIS® and Trainers licensed in both GYROKINESIS® and GYROTONIC®. Join us for a GYROTONIC® Foundation Course with ClydeRae Jolie-Ashe from August 5-17, 2019 located at the GYROTONIC® Bodhi Studio. Tuition $350. Studio fee $150 payable as deposit to GYROTONIC® Bodhi Studio. Deposit: $150 due payable as deposit by July 20, 2019. Contact and registration: Jen Peterson, Gyrotonic Bodhi Studio, gyrotonicbodhi.com. 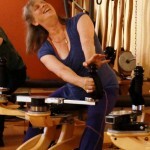 In this program students learn to design, and teach a progressive sequence of Gyrotonic Level 1 exercise classes on the Gyrotonic Pulley Tower Combination Unit. A skillful instructor with a depth of knowledge and a wonderful sense of humor, ClydeRae offers one of the most popular course trainings in Colorado. Attend a training with ClydeRae Jolie-Ashe and experience the work of a Specialized Master Trainer. View a list of courses. Click here to read her full schedule of trainings. Contact: Gyrotonic Bodhi to register. Trainers: This Gyrotonic Foundation can serve as a Gyrotonic Apprentice Supervision, and the tuition is $700. All retail products are 40% off. Your loved ones will love these therapeutic and cozy items for the holidays. From essential oils and Arnica Gold to Toe Sox and Domini clothing. Offer available while supplies last, and they are going fast. We will be available in the studio December 21st (Monday) from 10-2pm, December 23rd (Wednesday) from 9:30-1, (Monday, Tuesday and Thursday)December 28th, 29th and 31st from 10-2. To all my friends, colleagues, clients, and students, old and new: It’s the end of an era and the beginning of a new one. or the bodySpan studio and other Gyrotonic studios. I will continue to teach locally and internationally, working with trainers and students. 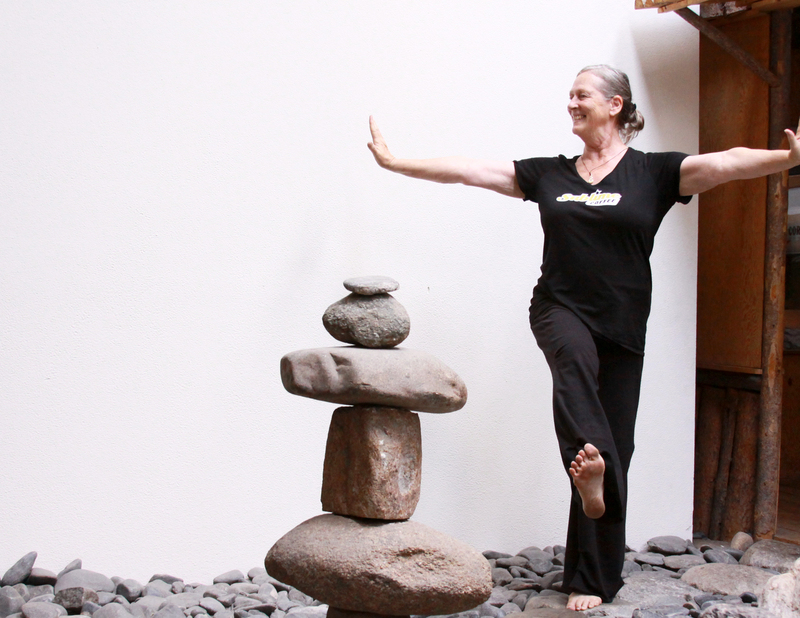 Visit the Gyrotonic Boulder website to keep up on news about my teaching schedule. Moving with all of you has been my joy and my passion and an essential component of my continued healing and well-being. I expect to continue that journey at Gyrotonic Bodhi and other locations around the world for many years to come. 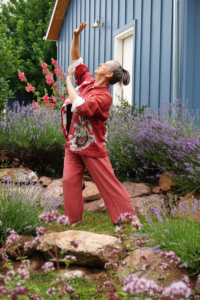 Our scheduled Gyrotonic Boulder Trainings will be held, as expected. The same teachers that are listed in the schedule will be teaching them at the new location. If you have any questions please let us know, we would be happy to assist. Gyrotonic® Pre-trainer Update with ClydeRae Jolie-Ashe from November 10 – 12. This 3 day Update Course is offered to Gyrotonic Pre-Trainers by their Networking Master Trainer. In it, the students are supported in their material pertaining to the Gyrotonic Pre-Training, along with given new material to keep these educators refreshed and inspired. Emma Kingston has developed this course over many years and is here to share here vast knowledge with you. In this course you will receive a multitude of exercises to work with: hands on techniques for helping your clients work with the material, insight and explanation about the basic anatomy and functioning of these area’s, and the experience of working with the material in your own body. Emma Kingston has been part of the GYROTONIC® community since 1999. Emma was originally a massage therapist working in San Francisco, CA. Having been a dancer and a gymnast from a very early age, Emma has a natural connection to movement. Born with problematic feet and later developing scoliosis she went in search of a comfortable body. After attending an art high school as a dancer and becoming a massage therapist, Emma wished to see more long-lasting results in her clients’ bodies. Thinking that movement was the perfect thing to accomplish this; it seemed more active participation on the clients’ behalf was the way to go. After literally stumbling upon Gyrotonic at San Francisco GYROTONIC® Emma saw so much potential in the vastness of this methodology she decided to do her pretraining with Tamara Yoneda. Emma completed her Foundation Course with Debra Rose and tested out with Juliu Horvath. Emma came into the system at a pivotal point in the development of the training process and feels very lucky to have worked so closely with Juliu Horvath and witness the many changes and developments to this amazing system. Emma is the owner and manager of The Seed Center, which houses both Center GYROTONIC® and Bloom Natural Health Care. Together the facility encompasses an integrative health care facility that offers a variety of alternative health care modalities with the underlying goal of connecting movement and holistic health into a full body awareness and living. On Saturdays, ClydeRae will not be teaching her Gyrotonic Level 2 class. The class is open to students and teachers! Join our community for a teacher training or class! Announcing a new course, Gyrokinesis Apprentice Review on Saturday, Sunday, and Monday, April 18, 19, and 20 with Master Trainer, Shannon Horn. 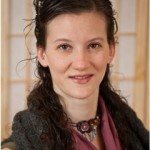 Shannon will also teach a Gyrokinesis Foundation from April 10-20. Join us for Gyrokinesis and Gyrotonic exercise classes on Monday, Tuesday, Thursday and Fridays! Saturday, Jan 3, 10-1 and 4-6. Sunday, Jan 4, 10-1 and 4-6. Monday, Jan 5, 10-12:30 and 3:30-6. Tuesday, Jan 6, 10:30-1:15 and 4-6. Wednesday, Jan 7, 8-10 and 1-3. Thursday, Jan 8, 9-noon and 2-4. 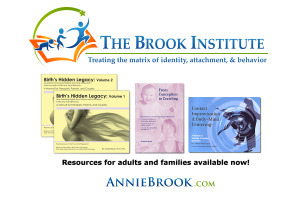 Annie Brook is an exquisitely trained Somatic therapist. Her years of clinical work in hospitals, public schools, clinics and private practice make her a speaker and therapist in high demand. She gets it about people and what they need. 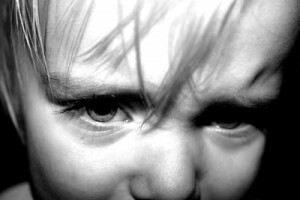 Annie blends psychology with developmental neuroscience, sensory-motor integration, play therapy, and what it takes to relate to others. People get results from her mulit-dimensional approach. Annie comes from a background of adventurous women. Her great grandmother built a cabin with her children in Canada. Her mother studied to be a pilot, became a social worker, and then raised 5 children, later becoming a successful politician. Her father was an adventurer and a military hero who risked his life to save the lives of others. Annie built a log house in Maine, was a stoneware potter in Scotland, has worked on commercial fishing boats off Cape Cod and Alaska, was a sea kayak guide in Mexico and Alaska, and led hiking treks in Mexico a nd Africa. Drop by anytime from 6 – 9 pm at Silver Sage Cohousing, 1650 Yellow Pine Ave.
Get healthy, feel good and have fun. On Friday, Nov. 7, ignite your weekend with a NoBo First Friday Art Walk at Silver Sage from 6:00 – 9:00pm. 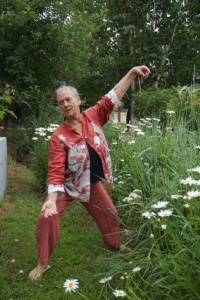 Join us for free demos and mini-sessions from teachers who integrate Gyrotonic – the art of exercise, Tai Chi Chih and other expressive movement in their work. Light refreshments provided. 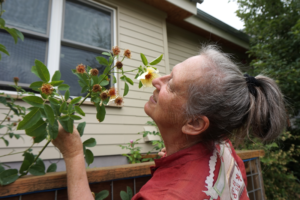 Located at Silver Sage Cohousing, 1650 Yellow Pine Ave., Boulder, CO 80304. Master Trainer Emma Kingston has been involved with the Gyrotonic methodology since 1999. Coming from a background in dance, gymnastics, Capoeira and other alternative movements and sports, Emma is a Licensed Massage Therapist in the state of Oregon and tries to blend her knowledge of the movement practices she has studied with the more technical knowledge of the body in her training courses. Emma was born with foot issues and as a teenager was plagued with the development of scoliosis. Later as she was building her massage practice she developed tendonitis in one of her arms. Finding Gyrotonic was revolutionary to Emma’s concept of the body and the ability to heal and completely transform the body. After ridding her spine of scoliosis and curing the tendonitis in her arms and feeling her own feet find contact with the earth Emma felt like she had information worth sharing within the system itself.